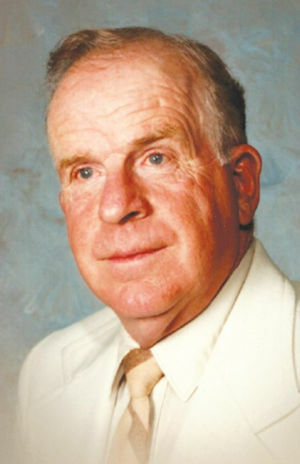 Obituary – Randall, Max Owen « Perry High School Alumni Association, Inc.
Sophomore Class Treasurer 46-47, Football 45-48, Wrestling 46-47, Junior Class President 46-47, Mayor Teen Town 47-48, Vice-President Homeroom 46-48, Perryscope Staff 47-48. Max Randall passed away peacefully on September 4, 2018. Services have been entrusted to the care of Dighton-Marler Funeral Home of Perry. He was born on February 6, 1930, in Blackwell, Oklahoma, to Olin W. Randall and Blanche Bottenfield Randall. The family moved from Blackwell to Perry in 1945 when the Randalls bought a Ford dealership and tractor supply and renamed both as Randall Motor Company and Noble County Tractor Company. 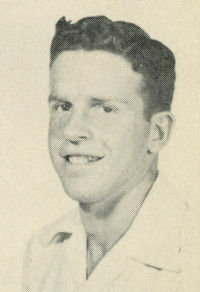 Max graduated from Perry High School in 1948 where he was an athlete on the football and wrestling teams. He served as treasurer of his sophomore class and president of the junior class. As a senior, Max was Mayor of Teen Town, vice-president of his Homeroom, and on the Perryscope staff. After high school graduation, Max attended Northern Oklahoma College at Tonkawa for two years to pursue a degree in business. In 1951, Max met and fell in love with Anna Lou Eppler, and they were married three months later in June. Max and Anna Lou made their home in Perry and had three children. As the children grew, the family made summer road trips over the years, and the favorites included trips to Colorado, New Mexico, Minnesota, and Wyoming. In retirement, Max and Anna Lou traveled to Alaska by car for weeks and weeks. In the early years of their marriage, Max and Anna Lou spent many a Thursday night in colorful, coordinated clothes square dancing with the Shooting Star Square Dance Club. However, Max’s favorite pastime was to hunt with his grey-hounds, and for over 37 years he raced across pastures in his truck in pursuit of the wily coyote. He was also an active member of the Perry Lions Club for 45 years and a long time member of the First United Methodist Church. Max was known for his keen sense of humor, loved a good joke, and played many a prank on unsuspecting victims. Max was preceded in death by his parents. He will be mourned by his wife of 67 years, Anna Lou; children, Beth Renee Zuelke of Houston; Rodney Owen and Arlene Randall of Mustang; and Regina Kaye and Mark McPherson of Beaumont, Texas; 10 grandchildren, Ashley Randall Motley; Adam Zuelke; Jennifer McPherson (Justin) Dancer; Peter McPherson (Nichole); Graham Zuelke (Ninfa Montano); Stephanie McPherson (Patrick) Petralie; Rebecca Randall (Paul) Greiner; John McPherson; Alexander Randall (Milainie); and Kate Zuelke; 16 great-grandchildren; brothers, Richard and wife Elaine Randall of Perry and Neil and wife Margaret Randall of Missouri; as well as many special Randall and Eppler family nieces and nephews and their wives, husbands, and children. Max’s memorial service will be held at the Perry United Methodist Church, on September, 22, 2018, at 11:00 o’clock in the morning. Visitation with family will be held from 10:00 – 11:00 a.m. in the church Fellowship Hall. In lieu of flowers, donations may be made to the Perry Lions Club in care of Dighton-Marler Funeral Home, 203 Fir Avenue, Perry, Oklahoma 73077.